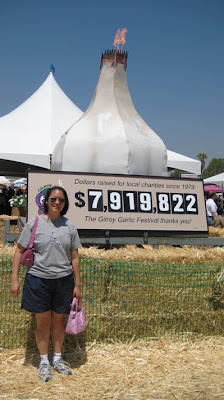 We went to the Gilroy Garlic Festival last weekend! It was HOT. 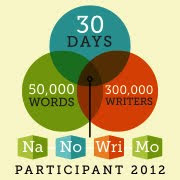 And there were a LOT of people, and it was only Friday! 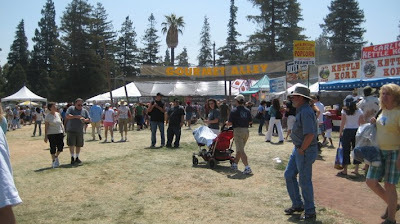 Here is a shot of Gourmet Alley, where the Gilroy-sponsored food is all made and sold. 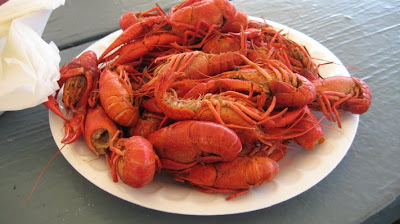 These are the Cajun seasoned crawdads I ate. Yum! Although they kind of remind me of the movie Aliens. 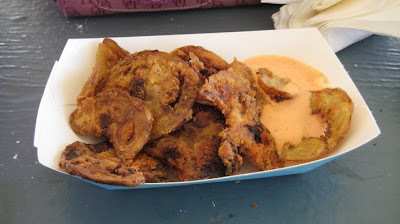 I had never had fried green tomatoes before, and they sold them at the same booth as the crawdads, so I decided to give them a try (don't ask me how much this little tray cost). The tomatoes were really good! But the sauce was a bit too rich for me. The tomatoes would have tasted good without it. 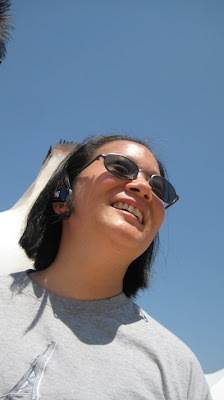 Me in front of the, uh ... flaming garlic. I didn't even know Captain Caffeine had taken this picture until I downloaded the pics into my computer. He was being weird and trying to get a candid shot, but he still had the camera set on zoom so it only got me. You can see the ends of his spikey hair on the top left corner. This smelled SO good! 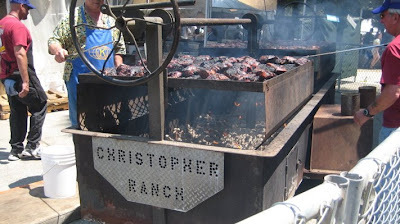 These are the marinated pepper steak beef for sandwiches. 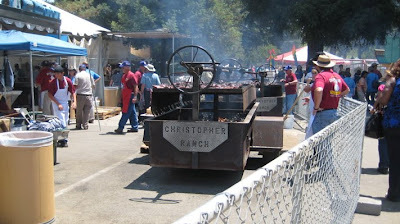 Later we saw them basting the beef with rosemary branches dipped in garlic. 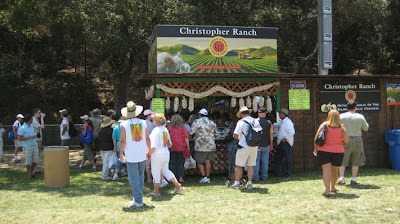 Christopher Ranch had to have a prominent booth, of course. They also had a massive trailer as we walked into the park. Sounds like heaven for this garlic lover. 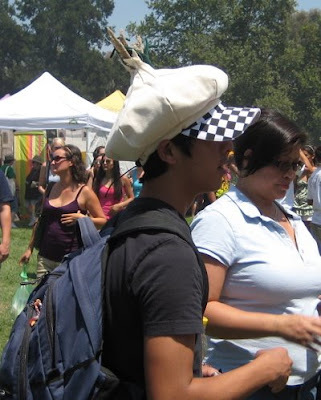 And the garlic hat? Now that's a fashion statement. Btw, I'm assuming there's a stand selling mints right by the exit, no? 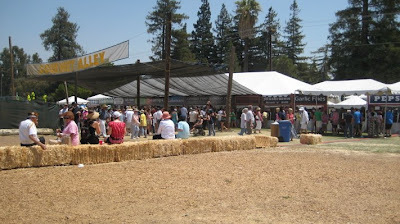 Enjoyed the tour of the Gilroy Garlic Festival. Isn't that hat just ... indescribable??? I didn't see it this year, but one year that I went, they were GIVING mints away at the entrances! 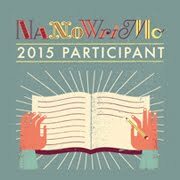 I think I need to come next year. If I'd known, I'd have snuck in a couple days early.